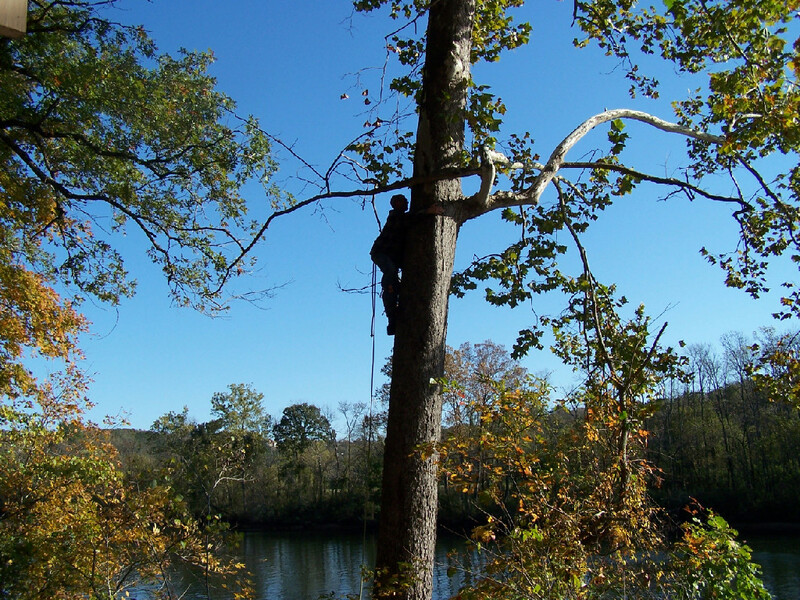 Planning to care for your trees and manage any undergrowth is easy when you work with the tree care professionals at Lakes Tree Service in Branson West, MO. Their team of experts takes pride in providing superior-quality tree care services to all of their clients. Unlike other companies that gloss over the details of tree maintenance until a high-paying job comes along, Lakes Tree Service applies the same work ethic and attention to every job they take, from week-long commercial tree cutting and lot clearing jobs to minor residential tree shaping projects. Survey the Property: When the pros from Lakes Tree Service get a call from a new client, the first thing they like to do is get a feel for the property. The way your tree care and undergrowth management plan is created depends on the size of your property, the variety and maturity of the trees on your property, and the basic configuration of your lot. A 40-acre, heavily wooded property requires a different maintenance plan than one manicured acre. Professional Recommendations: After a quick look at your property, the team from Lakes Tree Service will give you their professional recommendations in terms of tree removal, pruning, shaping, lot enhancement, bracing, stump grinding, and more. They’ll create an easy-to-follow, scheduled plan to keep your property in perfect shape. Customized Services That You Select: Once you have all of the information from Lakes Tree Service, it’s entirely up to you to decide what you’d like to schedule and what you’d like to leave for another time. If you have any questions during the selection process, you can always ask the tree experts at Lakes Tree Service, and you can expect to receive honest advice. To create a tree care and undergrowth management checklist, call Lakes Tree Service today at (417) 272-6013, or visit them online.